Homemade chocolate candy is probably one of the best things in the universe and these crispy, chewy, caramelly chocolate billionaires are certainly proof of that. My mom didn’t cook much except around the holidays. For some reason, during the Christmas season she pulled out all the stops making dense, moist fruitcakes, cookies, date nut bread, and fudge. Traditionally she made the first batch of fudge while we were watching Rudolph and it was usually test-tasted by my dad and myself before it had even set up. Creamy, chocolaty and sprinkled with just the right amount of pecans for a perfect creamy – crunchy ratio, her fudge was something to anticipate all year. All year because she only made it for Christmas. 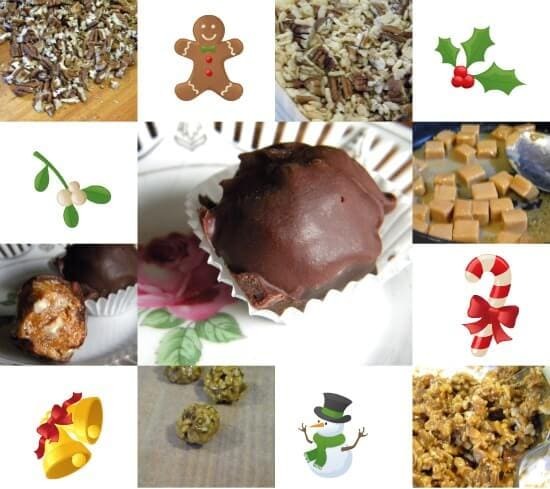 Candy is fun to make anytime of the year but I don’t usually take the time until the holidays. It seems silly to buy the kids HFCS laden candy bars for a treat when I can make them as well myself without all the junk in them – I just don’t take the time. 100 Grand bars have been a favorite of mine since they were created. I love anything with chocolate and caramel, and if you add a little texture to it? Yes please! These are so simple and they will only take about 30 minutes of your time – if that.They look beautiful on a cookie or candy tray or served with an after dinner espresso. Combine the caramels and water (or bourbon) and stir over low heat until smooth. Stir in pecans and cereal until coated. Use a melon baller or teaspoon to form balls with the hot mixture. Cool in the refrigerator until firm. Meanwhile melt the butter and chocolate in a saucepan until smooth. 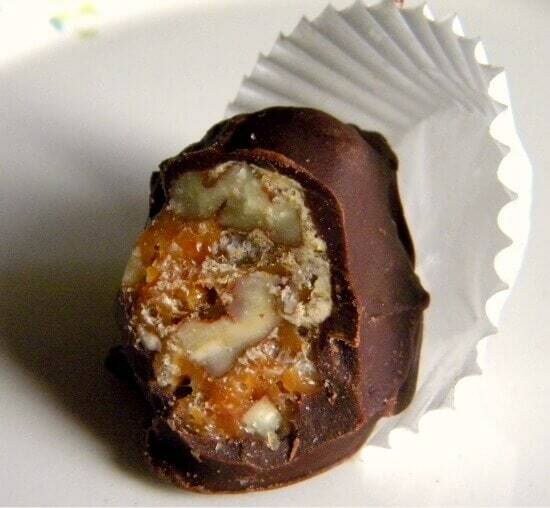 Using a fork, dip the pecan ball mixture into the chocolate, covering it completely. Place on prepared baking sheets and chill. Makes 3 dozen or so. I just cleaned out my baking cupboard and found about a 3 lb. block of caramel I need to use. Perfect! well here’s the spot to use it! Thanks! I really love them! oooh, I used to love those 100 Grand bars too – pinning to make soon – VERY soon! 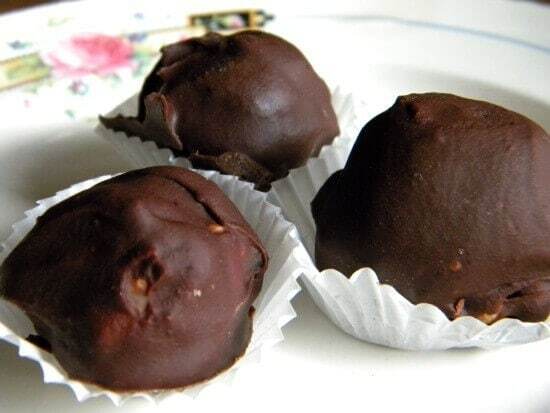 These sound so easy to make and there is nothing better than homemade candy. I love that they are no-bake too! Me either… Especially on… any day of the week that ends with Y. The sight of these chocolates made my mouth go waaaooozzzaaaahhh. Looks appetising with well detailed recipe. Thanks for sharing.